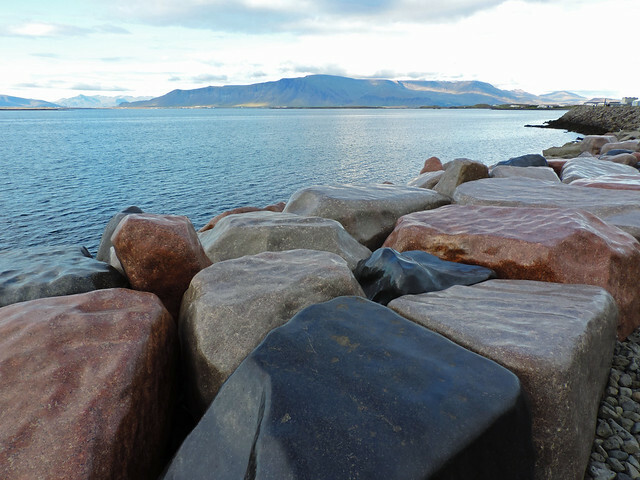 Reykjavík. The capital and largest city of Iceland. Population: ~123000. Well, in a country where cities with a couple of thousand inhabitants are among the largest ones, it’s a serious number. 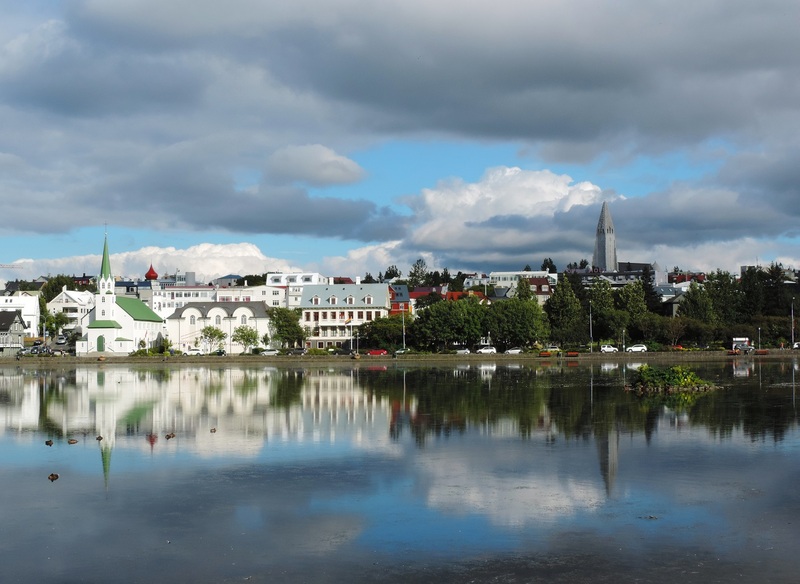 In our opinion, Reykjavík is just the perfect capital for Europe’s last and largest untouched wilderness – as we heard referring to Iceland once. It’s small. It’s charming and modest. How could a city be modest? 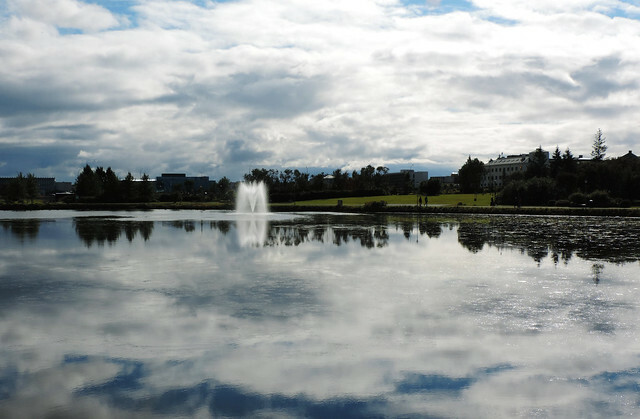 We had the feeling that Reykjavík knows that no city can dominate in Iceland and it doesn’t even try. Located on the Atlantic coast, it doesn’t compete with the majesty of the ocean, rather it gracefully blends into it. Even Hallgrímskirkja, one of the finest pieces of architecture in Reykjavík is an honour to nature. 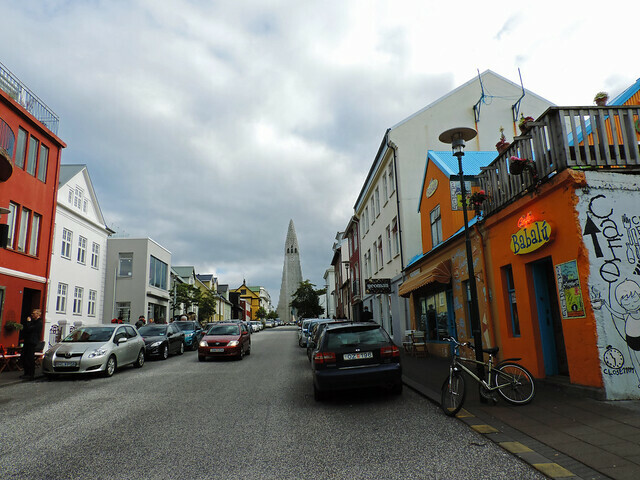 We have to admit we spent less time in Reykjavík than we originally planned. Chasing waterfalls is something we just can’t resist and Iceland is full of temptations in these terms… 😀 So we ended up having a sunny summer afternoon and evening to explore the Icelandic capital. We started our walk at Hallgrímskirkja. 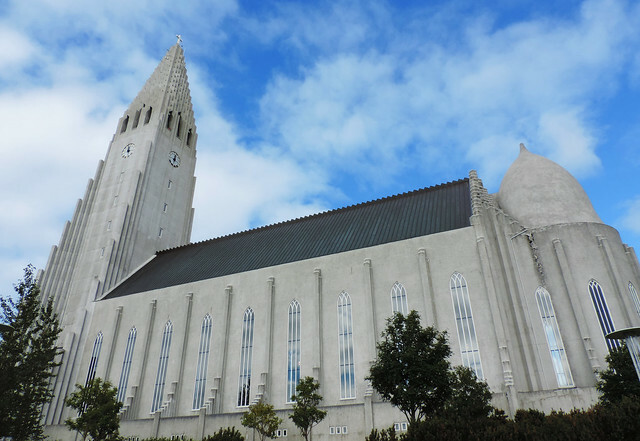 This Lutheran church is among the largest structures in Iceland – yeah, it’s not the country of skyscrapers, but honestly, who misses them? We didn’t. Hallgrímskirkja was inspired by the dark lava columns that are formed at Svartifoss, a waterfall in Skaftafell. The lava-like formations and the whole church is white – unlike the black columns of Svartifoss. We went inside to take a look, too, it’s free to enter. Then we continued walking on the streets starting at Hallgrímskirkja, mainly Skólavörðustígur and Laugavegur. They were the lovely and lively streets of an adorable, small coastal town and didn’t remind us of a city, least of a capital. Our favorite area was Tjörnin pond. The City Hall is located at the pond, too, and there’s a walking path around it. We had some nice views from there, and we could even spot Hallgrímskirkja towering above the streets. 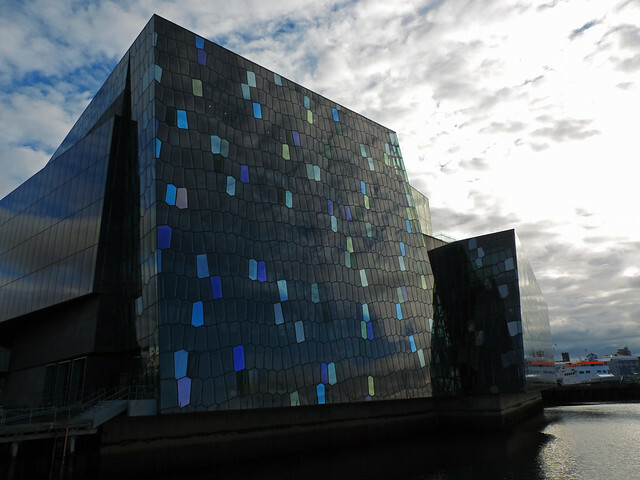 Then we headed to Reykjavík Harbor and found our other favorite piece of architecture besides Hallgrímskirkja. It’s also inspired by Iceland’s typical basalt landscape, but it’s mostly made of steel and glass. 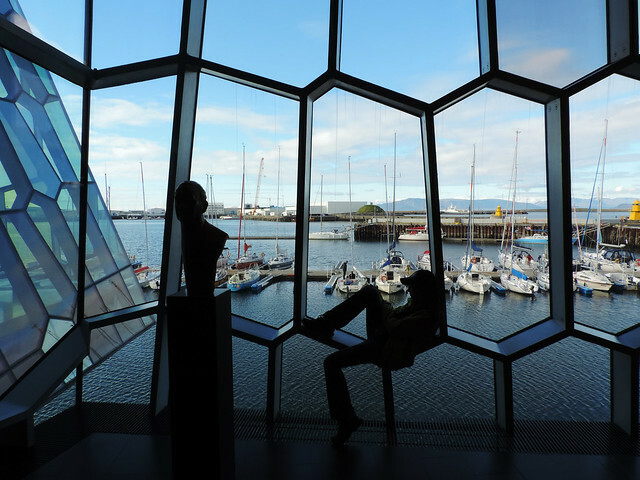 It’s a concert hall and conference center called Harpa. 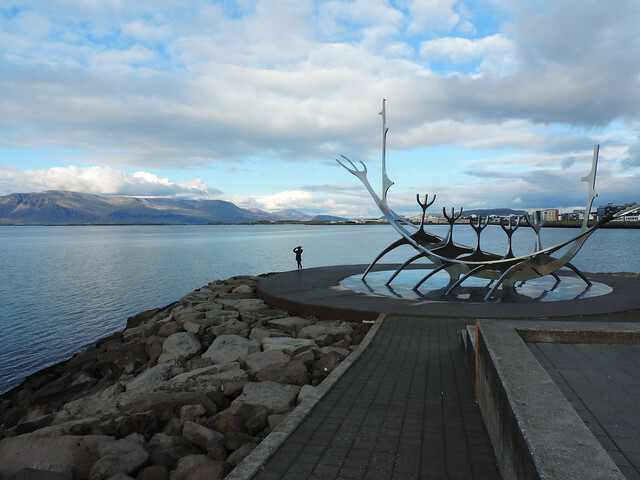 The other famous sight near the harbor is the Sun Voyager. It’s a sculpture made of stainless steel and it represents a dreamboat – a dream of hope, progress and freedom. We just sat there listening to the music of the waves and looking at the mountains located at the opposite side of the large bay as the sun went down. What is the strangest capital city you’ve been to? 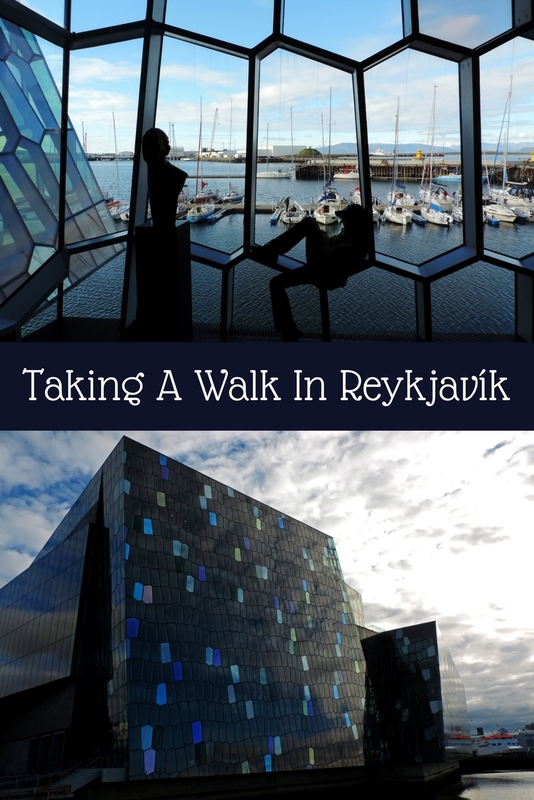 Would you visit Reykjavík?